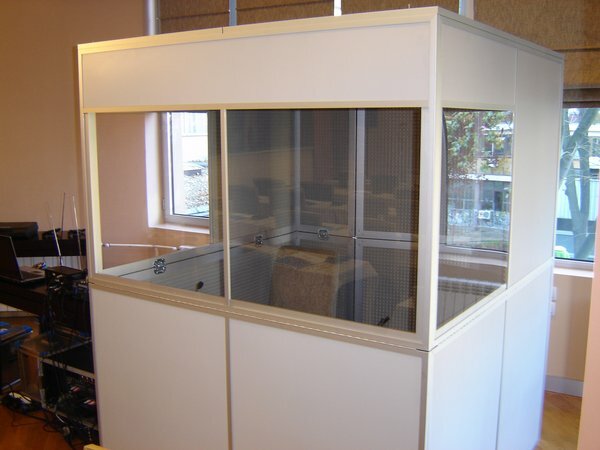 INTERPRETER BOOTH IS INTENDED TO BE USED BY TWO INTERPRETERS MAX. 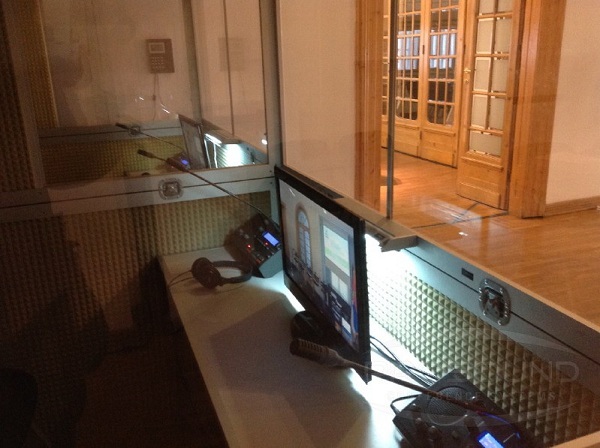 A SEPARATE BOOTH IS NEEDED FOR EVERY NEW LANGUAGE. 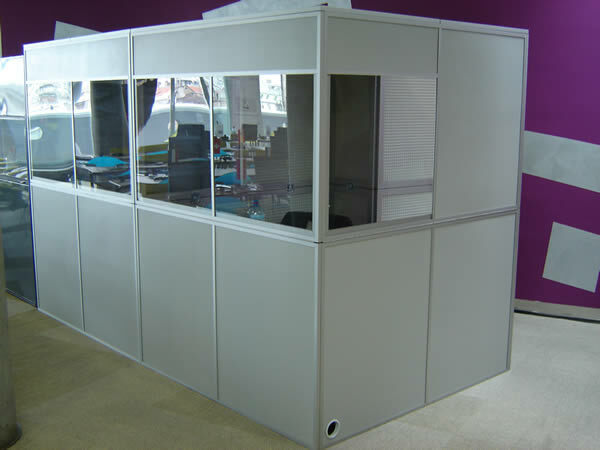 BOOTHS ARE SOUND PROOFED. 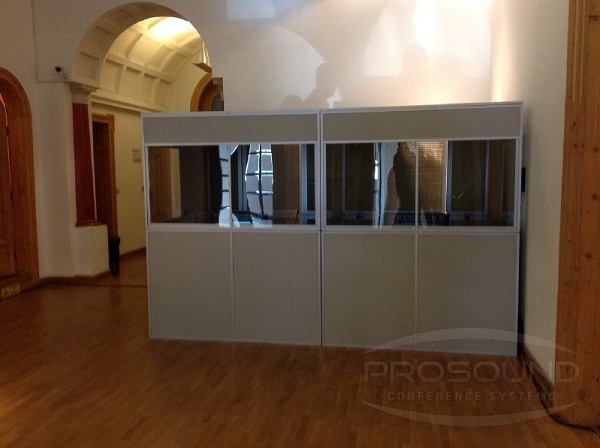 IF YOU ARE INTERESTED IN BUYING THE INTERPRETER BOOTHS - CONTACT US.